MAW kicked off in China this week with 19 companies in attendance. 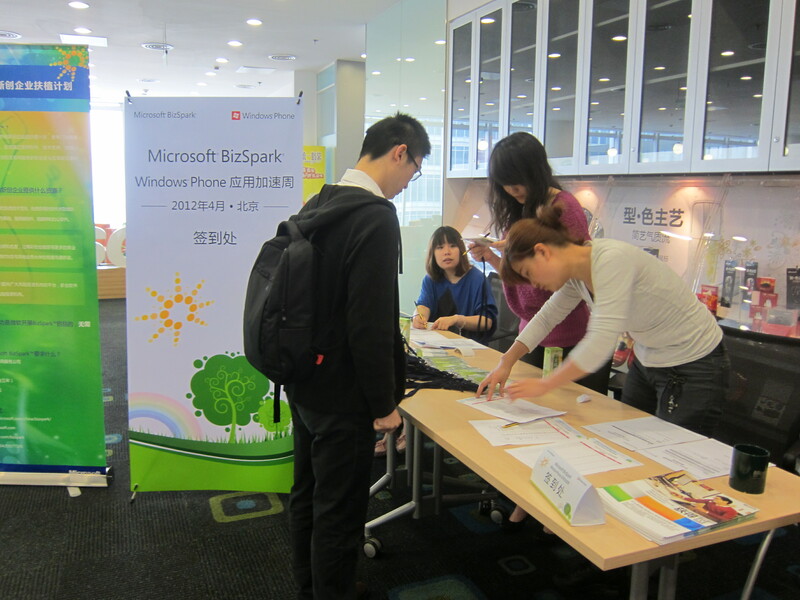 The event is being held at the Microsoft offices in Beijing and is the second largest MAW to date, coming in just behind the large Moscow event. The kickoff day was primarily focused on content, with multiple presentations and a few hours of development mixed in. The lectures covered everything from the basics of developing on Windows Phone and the Metro UI to advanced sessions on Developer SDKs. Following registration, the week began with an official welcome and introduction from Brian Hoskins, Strategic and Emerging Business Team at Microsoft. Brian gave an overview of the week and expectations about development. A presentation by Felix Yan, Microsoft DPE, was next on the docket. 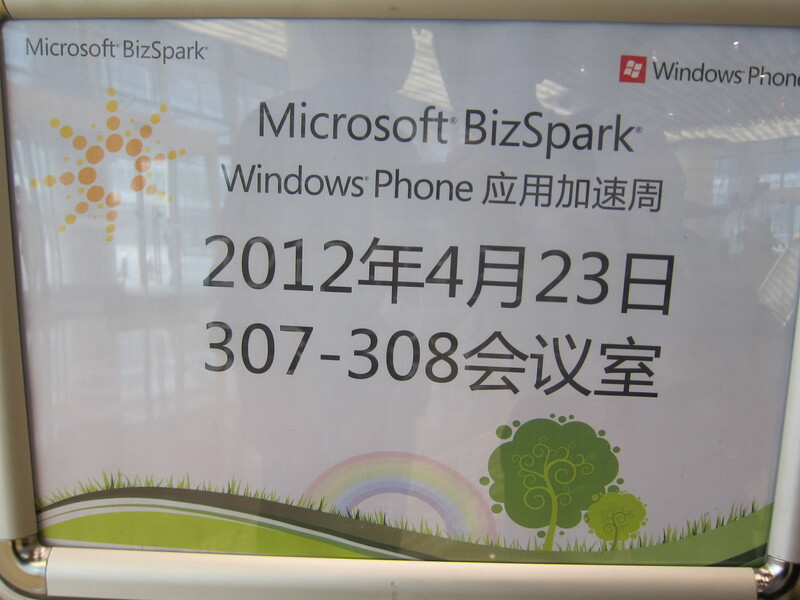 Felix spoke on the strategy for developing differentiated Windows Phone applications. A few of the participants plan on releasing multiple WP apps so this was a valuable lecture for those companies in particular. The participants took a short tea break and then jumped right back into the schedule for the day. 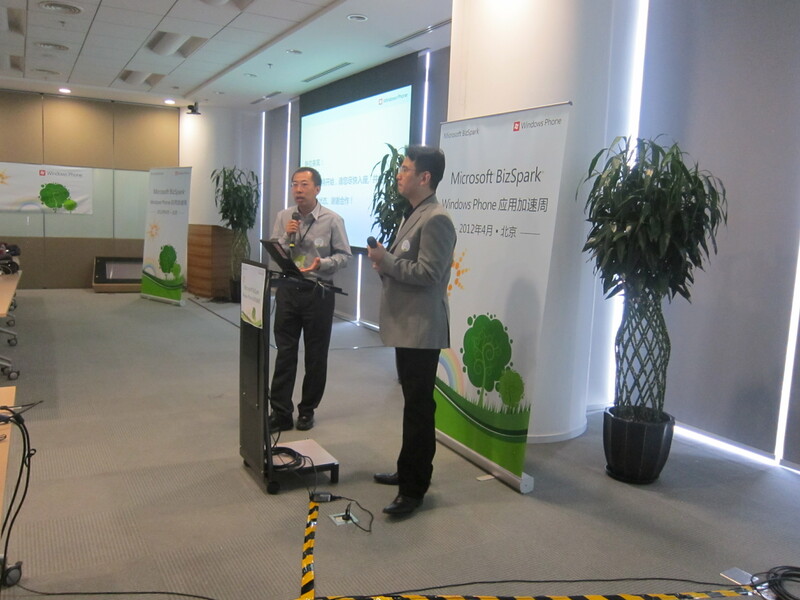 The Microsoft DPS China team took the stage to speak on Windows Phone UX best practices. The morning concluded with a short presentation on developing Windows Phone applications with Silverlight. The participants then enjoyed a lunch break before diving back into the schedule. With stomachs full and minds racing, the participants sat down to hear more about the WP lifecycle and the distinctive features of the WP platform. More specifically, the presentation focused on live tiles and notifications that are unique to WP. Leody Fu, Microsoft, then took some time to speak on the WP SDK gallery. The gallery was a new topic for many of the participants, particularly those who have not developed for WP previously. Before another shot tea break, Robin Huang, Nokia WP Maps API team, took the stage. Robin talked with the participants about the Nokia Map SDK and also touched on the role Nokia plays in MAW. When the participants came back together after the tea break, they heard from a Tencent representative. The speaker talked with the companies about Tencent Weibo on WP7, which was an important lecture for those who were unfamiliar with this before the event started. The day finished out with some unstructured development time. The companies had a few hours to start the development process before heading home for the evening. Some participants used this time to focus on app design while others zeroed in on app UX/UI. Tomorrow is sure to bring even more development time for the participants, and everyone is excited to see what these companies are capable of.